To own a Volvo vehicle is much more than driving a simple vehicle. Each dealership offers services to help make your life easier. Discover which ones! Our shuttle service has you covered when you need it most. Our friendly drivers will transport you to and from our dealership when you bring your vehicle in for service, free of charge. 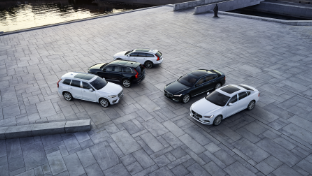 Volvo Cars London gets you where you need to go, whether it's in one of our vehicles or in your own. Get a clean start with Volvo Cars London. 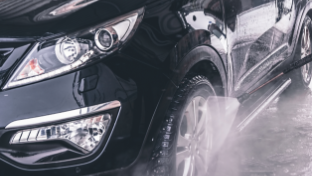 Every vehicle passing through our Volvo service department gets a complimentary exterior car wash. Our technicians clean your car from top to bottom as a thank you for choosing our dealership. Drive away with your Volvo looking (and running) like new! Book a service appointment. Protection and safety are Volvo values. 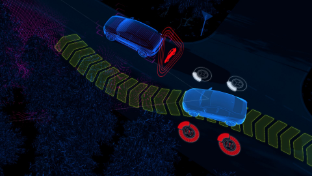 Enjoy 24-hour roadside assistance, towing to your nearest Volvo retailer, computerized trip routing/map service, lockout assistance and more. 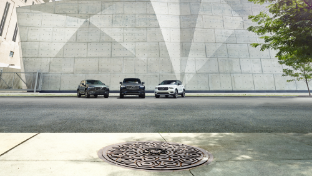 Your coverage begins the moment of purchase and can be renewed so you can keep that peace of mind Volvo drivers. Reach Volvo on Call through our toll-free number at 1-800-263-0475. Volvo Cars London wants to pay you back for your decision to become a Volvo owner and shop at our dealership with confidence. Anytime you purchase genuine Volvo parts and have them installed from Volvo Cars London, we will back our labour and the part's warranty for an additional 2 years! 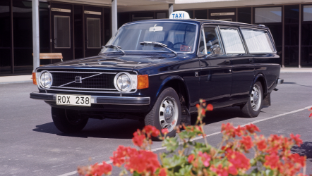 Volvo Cars London also wants to see your Vintage Volvo! If your vehicle is over 5 years old, you can qualify for special discounts! Please speak with one of our expert Parts & Service personnel and they would be pleased to assist you further. Did you just purchase a new Volvo and require your previous vehicle to be dropped off at another location? Getting your vehicle to and from the dealership is easy and stress-free with our vehicle pick up and drop off service. Call Volvo Cars London at (519) 690-1600 to schedule a time and we will do our best to accommodate your busy schedule. At Volvo Cars London, we employ only the very best in the business, in fact; we employ the masters! 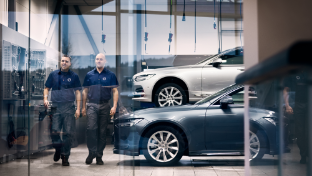 Our technicians have completed their master training direct from Volvo - Fully qualified and trained by the best to serve the best - customers like you. Please take a moment to schedule a service appointment with one of our master technicians today! We look forward to seeing you soon.